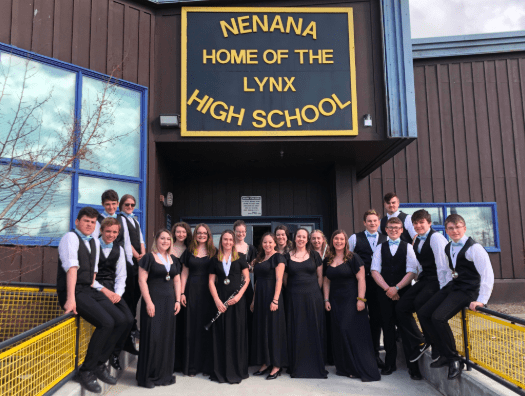 Buccaneer Music students traveled to Nenana this past weekend to participate in the Aurora Music Festival. 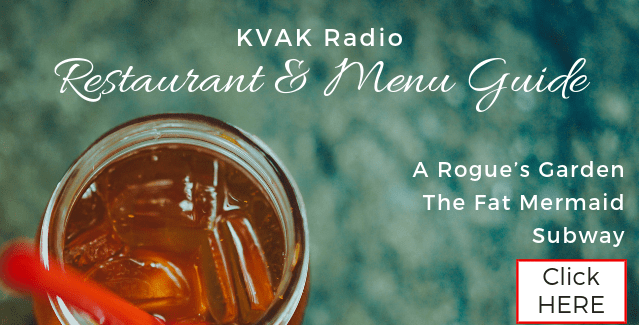 The festival is a gathering of fifteen 1, 2, and 3A schools on the road system with Cordova and Unalaska. There were about 400 students participating, all in either Honor Choir or Band or Mass Choir or Band. Valdez students performed very well as a choir and band for adjudication. They also individually prepared solos and ensembles for adjudication and possible qualification for State Solo and Ensemble in May. Our list of State qualifiers is attached and congratulations to each of them for their preparation and performance! Two Valdez performances were awarded Command 2 as runners-up for overall first place performances: The Jazz Band and the women’s vocal quartet. The trip bonus was watching the Nenana Ice Classic Tripod lean a little farther into the Tanana River each day and sitting on a flat tire bus surrounded by a caribou migration of probably 600 animals!